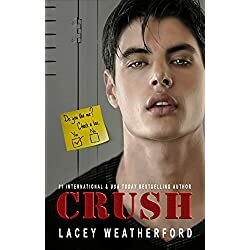 Nonfiction, Historical Romance, Mystery, Fantasy, Time Travel, Cookbooks, Thriller, Romance, Horror… today’s featured books have a little something for everyone! Minimalism can make all the difference. A minimalist life removes non-essentials and clutter—whether it’s physical clutter in your home or a cluttered mental state that holds you back from your goals— and makes space for only the most important things that truly add value and joy. 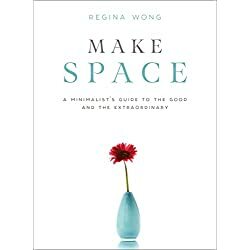 Make Space offers you the tools to achieve this transformative mindset shift by marrying minimalist philosophy and principles with practical tips, activities, and action points that will unlock truly simple living. The art of minimalism requires intentionally purging, building, crafting, and curating the type of life you’ve always wished you lived. And when you’ve finally removed all forms of clutter, you’ll invite all things good and extraordinary into your most intimate spaces. I’ve been lucky enough to share my stories with you for over forty years, and those first books occupy a special place in my heart. Vixen in Velvet and Whitefire are two of my earliest stories, and I am so happy to have this chance to introduce them to new readers. 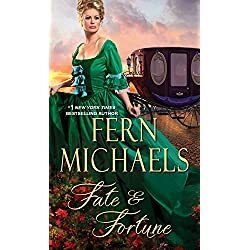 Beautiful, well-bred Victoria Rawlings sees only one way to avoid an arranged marriage—switching places with a tavern maid. Her daring scheme leads her to Marcus Chancelor, who, like Tori, is not what he seems. The handsome American secretly poses as a highwayman to support a besieged colony. Once their identities are unmasked, will Tori seize a chance at happiness, far beyond the safety she’s known? The simple life gets complicated when death comes calling in the first novel in the national bestselling Amish Mystery series. Claire Weatherly has fled a high-stress lifestyle for a slower pace—in Amish country: Heavenly, Pennsylvania. 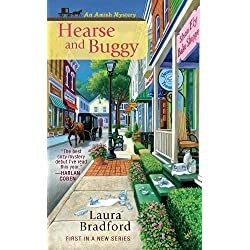 She only planned a short visit but instead found herself opening an Amish specialty shop, Heavenly Treasures, and settling in.Claire loves her new home, and she’s slowly making friends among the locals, including Esther, a young Amish woman who works in the shop. So when the store’s former owner,the unlikable Walter Snow, is murdered, and the man Esther is sweet on becomes a suspect, Claire can’t help but get involved. 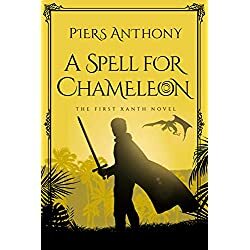 Xanth was the enchanted land where magic ruled–where every citizen had a special spell only he could cast. That is, except for Bink of North Village. He was sure he possessed no magic, and knew that if he didn’t find some soon, he would be exiled. London, 1760. 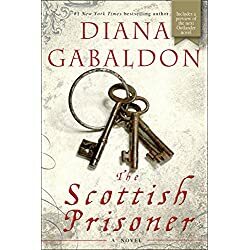 For Jamie Fraser, paroled prisoner-of-war, life is coming apart at the seams. In the remote Lake District, where he’s close enough to the son he cannot claim as his own, Jamie’s quiet existence is interrupted first by dreams of his lost wife, then by the appearance of an erstwhile comrade still fighting to rally the Irish. But Jamie has sworn off politics, fighting, and war. Until Lord John Grey shows up with a summons that will take him away from everything he loves—again. Lord John is in possession of explosive documents that expose a damning case of corruption against a British officer. But they also hint at a more insidious danger. Soon Lord John and Jamie are unwilling companions on the road to Ireland, a country whose dark castles hold dreadful secrets, and whose bogs hide the bones of the dead. 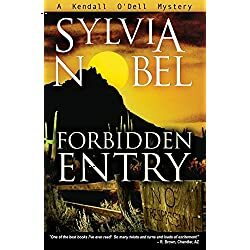 Spirited, flame-haired reporter Kendall O’Dell’s plans to spend her vacation sightseeing with her family go up in smoke after the bodies of a young couple are discovered inside their camper on a closed Forest Service road high the snow-covered Bradshaw Mountains of Arizona. Evidence at the scene suggests an unfortunate accident, but then comes the shocking news that one of the victims is the cousin of her best friend, Ginger King. When Kendall is informed about a tragic event in the young woman’s background and discovers that there have been two other questionable deaths in the same area, she becomes suspicious and decides to follow up herself. Her investigation leads her to the hidden community of Raven Creek, populated by a host of shadowy characters, and she puts her life on the line to uncover the dangerous and startling secret. Melted cheese between slices of toasted bread—the ultimate in comfort food. This mouthwatering cookbook features 39 grilled cheese recipes created by Heidi Gibson, winner of seven grilled cheese championships and the co-owner of the American Grilled Cheese Kitchen in San Francisco. The classic Mousetrap is dripping with three kinds of cheese. The Piglet wows with its thinly sliced ham and sharp cheddar. And grilled cheese makes a great breakfast—just add an egg! 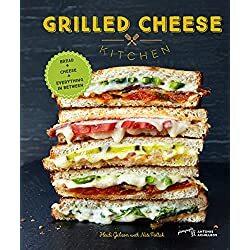 With 40 additional recipes for great accompaniments and side dishes—including hearty soups, many varieties of mac & cheese, spicy pickles, and tangy spreads—plus tips on choosing the best bread and cheese and techniques for grilling each sandwich at just the right temperature, anyone can create the perfect grilled cheese sandwich. Brandon Fisher never expected this when he signed up as a Special Agent for the FBI. Working in the shadow of Supervisory Special Agent Jack Harper of the Behavioral Analysis Unit his career seemed set. 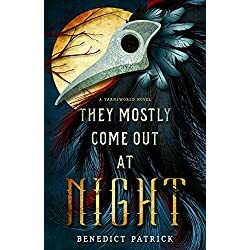 But when the team is called to a small rural town where the remains of ten victims are found in an underground bunker, buried in an unusual way, Brandon knows he’ll never return to his normal life. 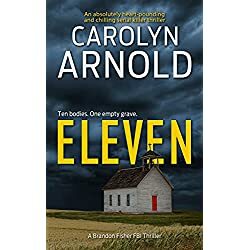 With one empty grave, and the case touching close to home, he fears he’s become the target of a psychotic serial killer who wants to make him number eleven. Only thing is, everything Brandon thinks he knows is far from the truth.